Respublika Stadionu, in full Tofiq Bahramov adina Respublika Stadionu and often referred to as Tofiq Bahramov Stadium, is the second largest football stadium of Azerbaijan. It was built to serve as Azerbaijan’s national stadium. Construction began in 1939, but World War 2 delayed works and it took until 1951 for the stadium to open. The stadium was initially named after Josef Stalin, but got renamed Lenin Stadium in 1956 and again renamed in 1993 after Tofiq Bahramov following the death of the referee that was one of the linesmen of the contentious 1966 World Cup final. In 2012, the stadium underwent an extensive refurbishment which included a new roof being built on top of the stands. 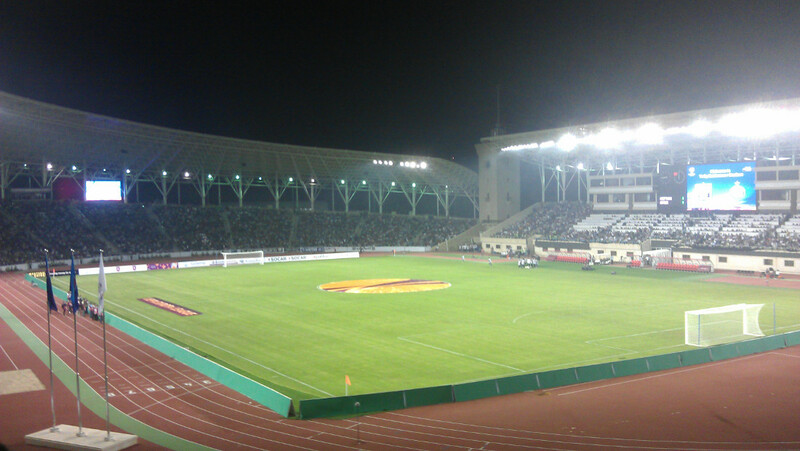 Respublika Stadionu has never belonged to a specific club, but was generally used by Qarabag for many of their home games. 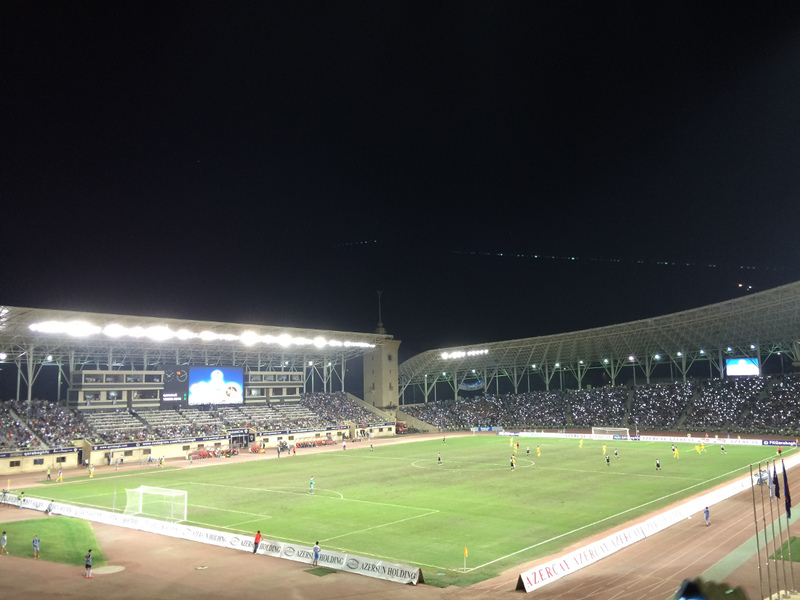 In 2016, Qarabag opened the much smaller Azersun Arena as their new proper home, but they have continued to use Respublika Stadionu for their high-profile matches including most European matches. Respublika Stadionu has traditionally been the stadium where the Azerbaijan national team has played most of their home matches, and continues to do so regularly despite the opening of the new Baku Olympic Stadium. 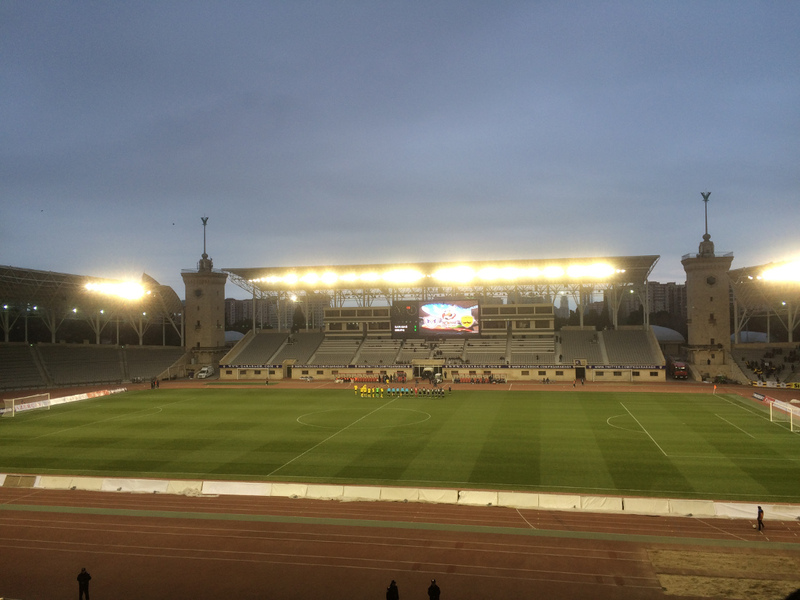 Tofiq Bahramov Respublika Stadionu is located in central Baku just north of the centre at roughly 2.5 kilometres from the main railway station and 4.5 kilometres from the old walled city. The stadium can be reached by metro. Metro station Ganclik lies right next to the stadium. It is on both lines 1 and 2 that cross Baku’s city centre. Tofiq Bahramov Respublika Stadionu is located in a dense and busy urban neighbourhood in central Baku. There are plenty of places to eat and drink in the area around the stadium including multiple food outlets in the Ganjlik Mall that lies next door. Similarly, there are multiple hotels at walking distance from the stadium and many more apartment rentals. Smith Hotel, Divan Express Baku, and Anatolia Hotel are some very well-rated options at easy walking distance from the stadium. 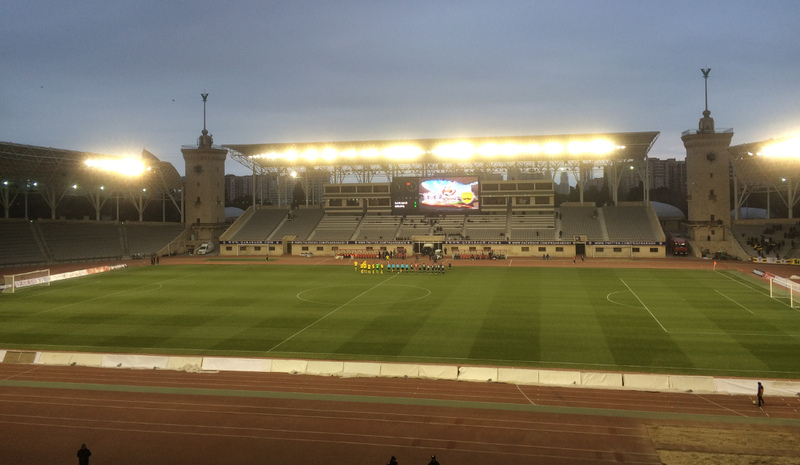 Click here for an overview of hotel near Tofiq Bahramov Respublika Stadionu and here to explore options elsewhere in Baku. Tickets for Qarabag matches can be bought at Tofiq Bahramov Respublika Stadionu from a few days before the match. Ticket prices depend on the opponent but expect to pay between AZN 1.00 and AZN 5.00 for a ticket. Qarabagh.com – Official website of Qarabag FK. Metro.gov.az – Information about the Baku metro.